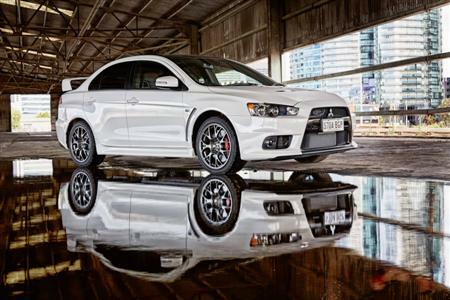 The Lancer Evolution Final Edition has arrived in Australia, with only 150 examples on sale down under. In its tenth and final generation, the Lancer Evolution Final Edition delivers the highest engine performance in the legendary Evo series. Already known for its extraordinary performance, the Lancer Evolution Final Edition increases power to 226kW of power @ 6,500 rpm and 414Nm of torque @3,500 rpm. Performance is further enhanced by the use of world leading motor sport suppliers including light weight two-piece Brembo® brake rotors up front, accompanied by Bilstein® shock absorbers and Eibach® springs at all four corners. 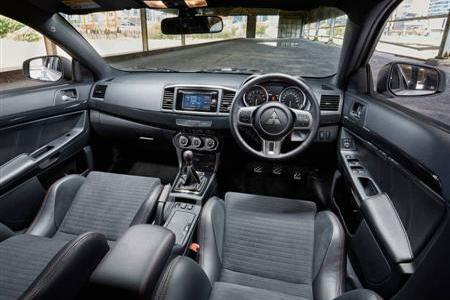 Mitsubishi Motors Executive Director Marketing Tony Principe said that the Lancer Evolution’s ground-breaking technology will continue to evolve in future Mitsubishi vehicles. “Throughout the last decade, Lancer Evolution served as a halo for the Lancer sedan range and the Mitsubishi brand on the strength of its incredible rally heritage, state-of-the-art technology and sure-footed dynamics”. 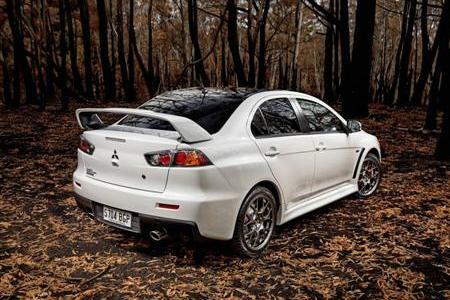 Lancer Evolution Final Edition (manual) $53,700*.